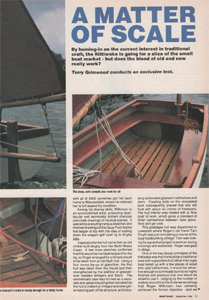 My philosophy is simple: to build attractive, quality day-boats which are a joy to sail. 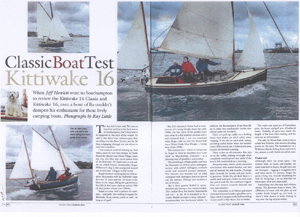 Kittiwake boats are easy to launch, move, rig and sail. 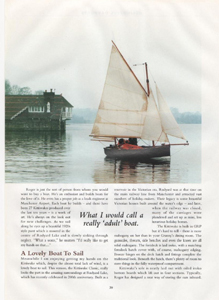 For me, sailing is about getting out on the water in any part of the country quickly and easily with the minimum of fuss. 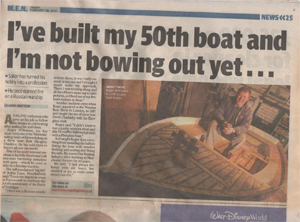 No two Kittiwake boats are the same; each boat is individually tailored to the customer's needs. 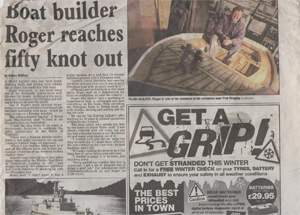 Kittiwake boats are strongly built and can cope with the most demanding of conditions - conditions which often belie their size. Similarly, Kittiwakes are extremely versatile, mobile and can be kept at home, trailed, launched and recovered easily from different types of launch sites. These are boats to go exploring with. 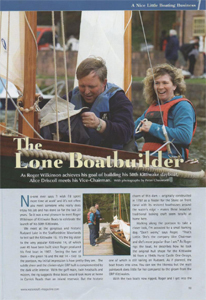 For me, as the boat builder, it is very important that my boats are loved and appreciated; it gives me great satisfaction to see and hear owners enjoying their boats. 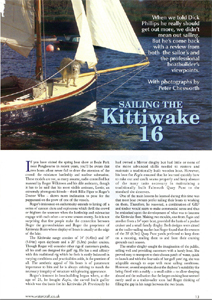 We have an active friendly Kittiwake Owners Association and we meet to sail once a year for a week in locations ranging from Cornwall to Douarnenez in France. We even have an annual race and a Kittiwake cup!